With Father's Day just around the corner it's time for our annual Shoot for your Dad mini sessions! We all know that even though he acts tough dad treasures his family more than anything, so what better gift to give him for Father's Day than beautiful images of the people he loves the most. Book in your mini session for the 6th of September, for your chance to create the perfect Father's Day gift for Dad. Bring yourself, the kids, pets, or the whole family to join in the fun! 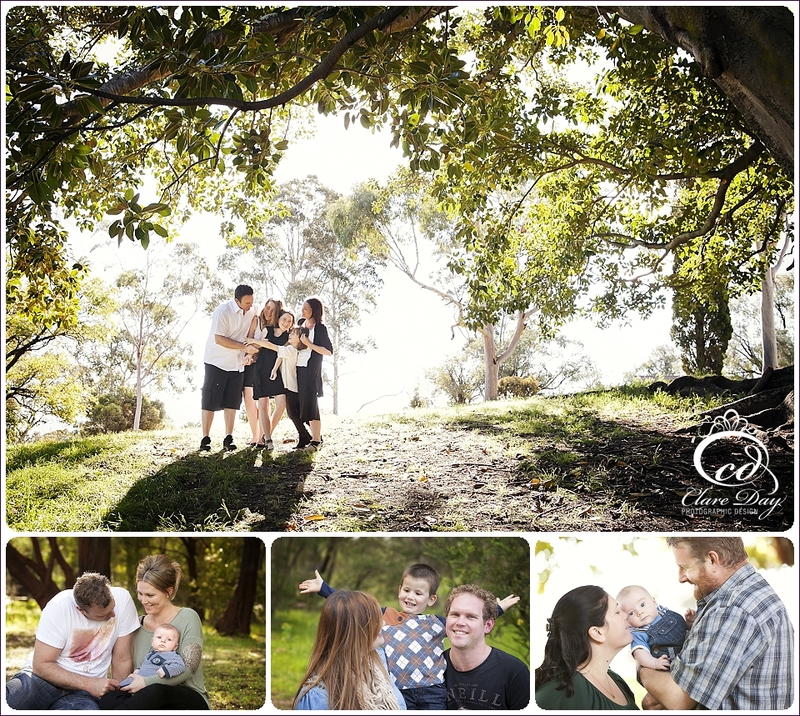 The 15 minute mini sessions are $25 each, donated to Bowel Cancer Australia. We'll let you know what to do next! Appointments are necessary due to limited times. Copyright belongs to Clare Day Photographic Design. Images are covered by Copyright Law and may not be copied, duplicated or scanned in any way. Automatic consent is given to Clare Day Photographic Design to use any image taken for this event for future promotions, advertising, and display in print, on the web, on our Blog and Facebook Page. Session Fee includes SESSION ONLY and does not include any prints, files or products. Online Galleries will be available on Monday 8th September for viewing purposes. Products, Prints or High Res files may be ordered by contacting the studio after the event. Large groups are difficult to accommodate in our Studio, so we strongly suggest any groups larger than 6 should be On Location. Sessions can be for Family groups, Individuals, Maternity, Pets, Kids, Grandparents....anyone at all! Newborns are welcome, but will be as a part of a family group, not individuals. Clare's father-in-law, David Silvestro, was diagnosed with bowel cancer at the beginning of 2010. Sadly he lost his battle in mid April 2011. We miss him dreadfully and it makes us value our own dad's and families even more. Because of this, we have chosen to hold a yearly fundraising event, a family portrait day in honor of Clare's father-in-law to coincide with Father’s Day and at the same time raise money for a VERY worthwhile cause. Our aims are to raise money for Bowel Cancer Australia, as well as to increase the awareness of bowel cancer. Bowel cancer claims close to 80 lives every week. It is the 2nd biggest cancer killer in Australia, but probably the least well known. The worse thing is, It can be treated successfully in 90 per cent of cases if caught in time, however, by the time you show symptoms it may be too late. The National Bowel Cancer Screening Program has been put in place in an attempt to help reduce deaths by finding the disease before its too late. The program has saved more than 11,000 lives since bowel cancer screening was introduced in 2006, including my mother-in-law. But the problem is…not many people know about it. Older PostWin a Maternity Portrait Package valued at $350!